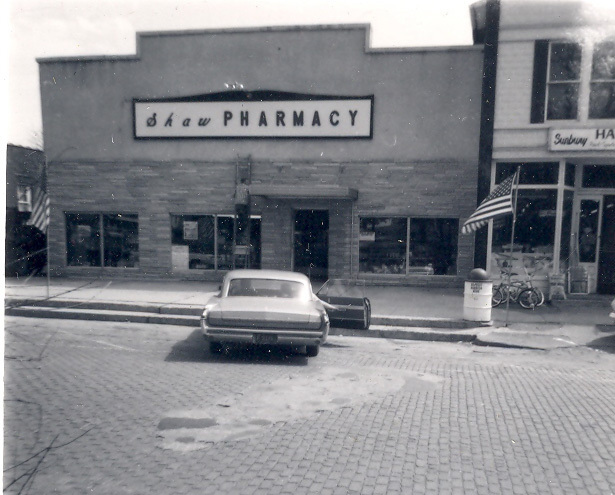 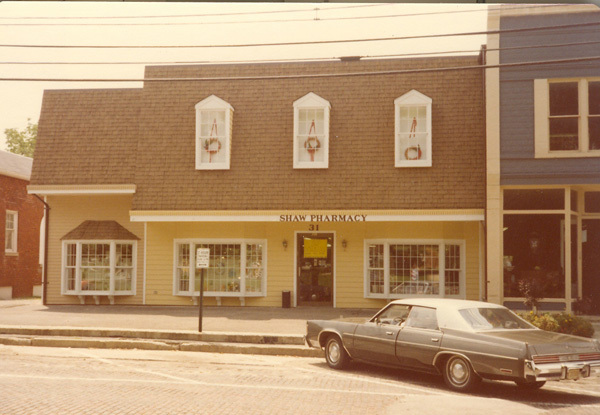 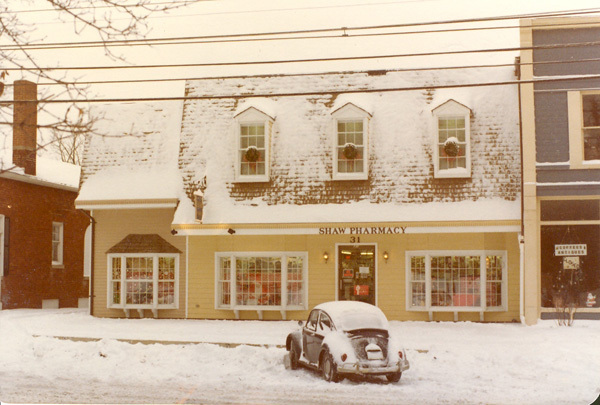 Sunny Side of the Square . . . .
Mickey Dan and Esther Shaw bought the Hills Pharmacy from Lawrence Hill and began business in Sunbury in 1967. 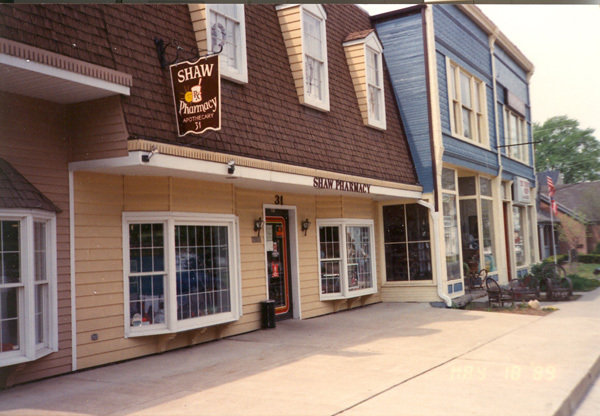 With the slogan "The Sunny Side of the Square" the Shaws became a part of the community. 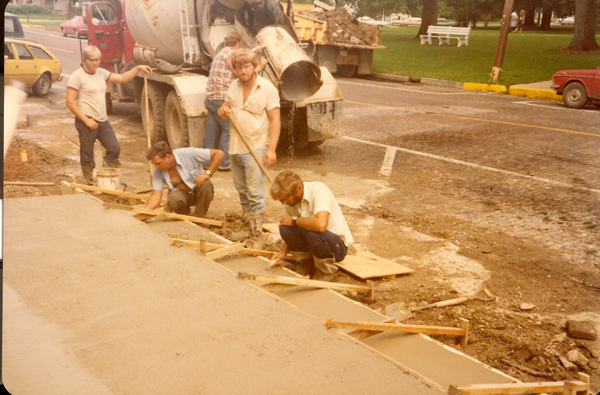 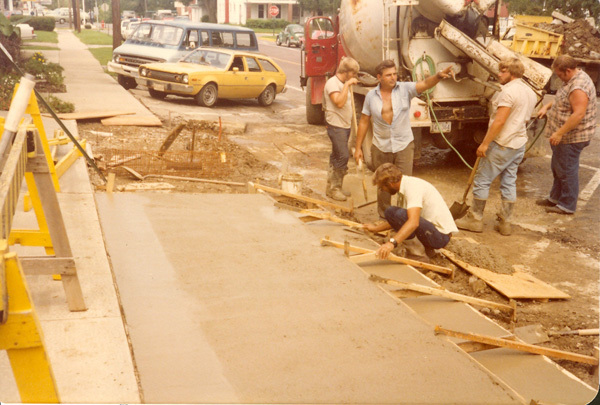 The sidewalks and parking were improved to provide space for the much anticipated Sidewalk Sales. 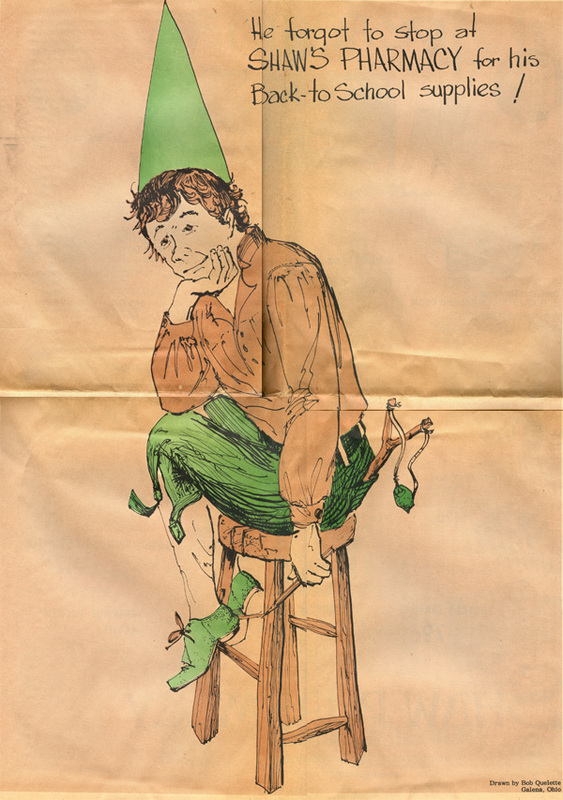 Folksy witticisms were include in his weekly newspaper ads and soon became a big hit. 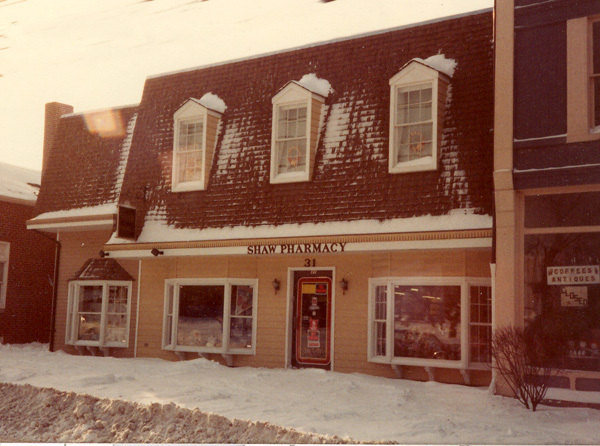 Shaws also used Bob Quelette of Galena for art work. 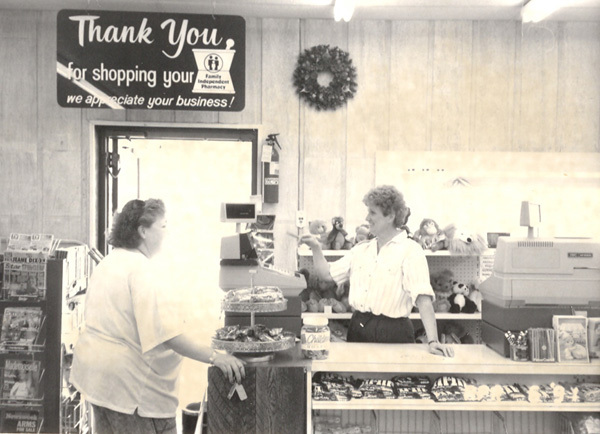 Bob's wife Phyllis worked with a craft section in the store. 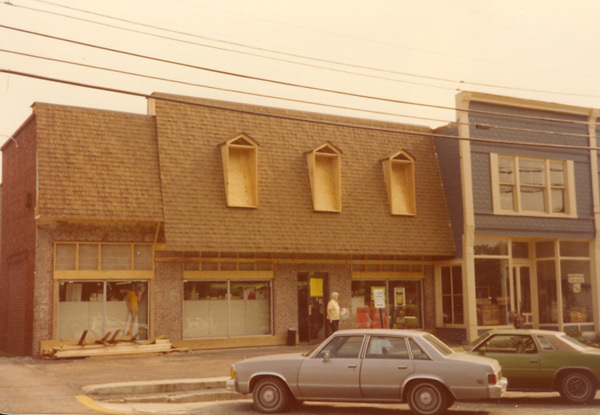 In December 1971, the community was sadden by the early death of Esther at the age of 36. 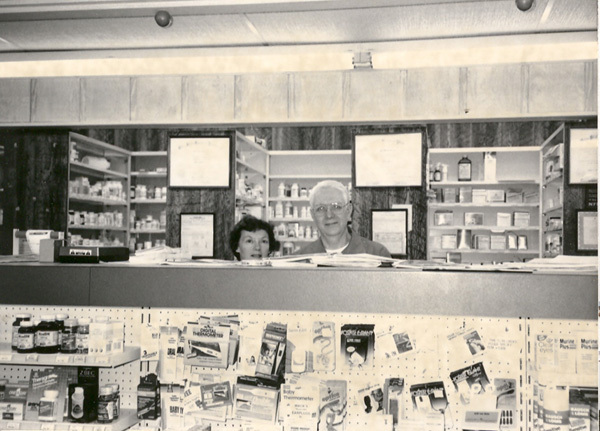 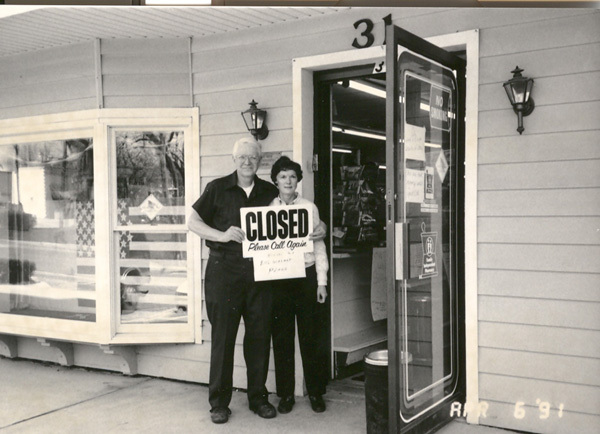 When Dan married Joan Lamberton, also a pharmacist, the town quickly warmed to her and Joan became a very active part of the business and the community. 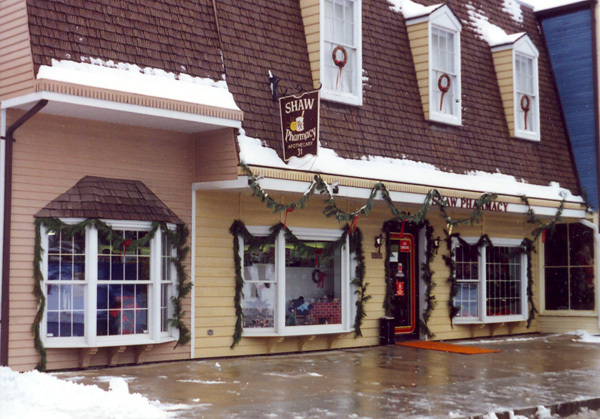 The second story windows were ideal for decorating. 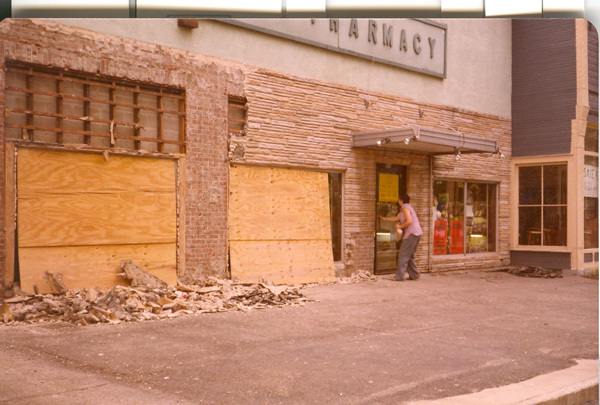 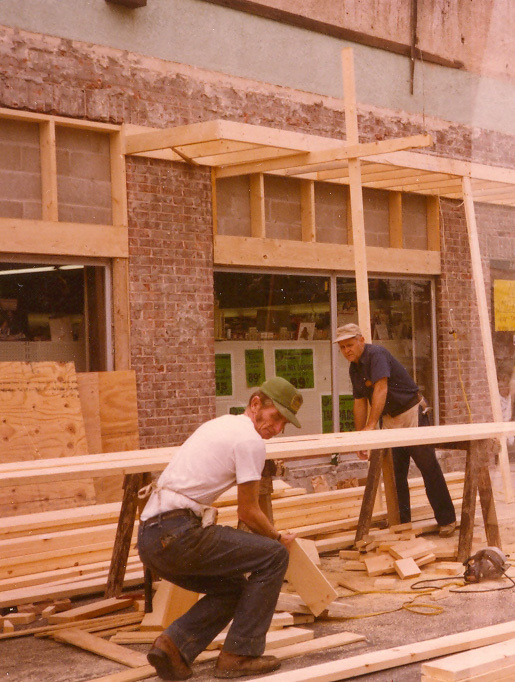 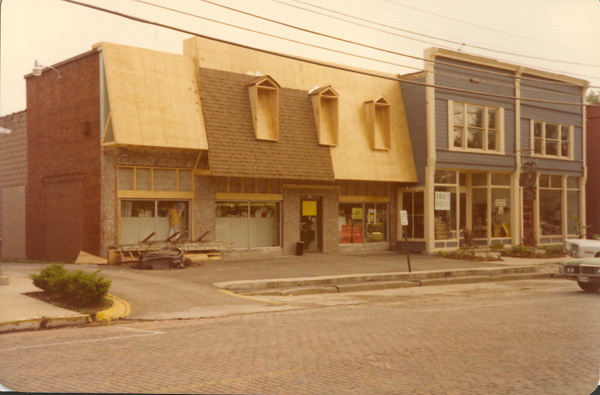 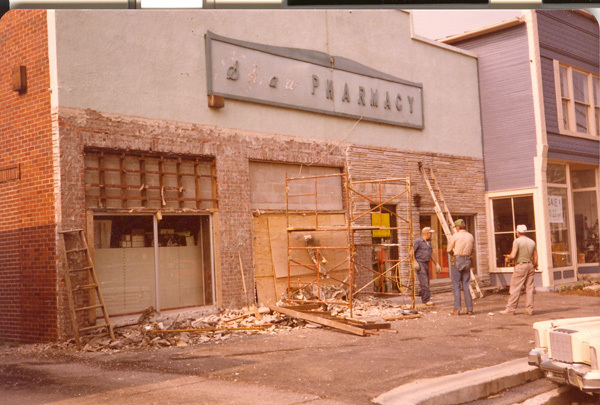 The Granville Street store became to small, so the Shaws moved into Big Walnut Plaza on West Cherry Street.